I would have sworn that I posted Geer #Two a few days ago, but I can’t find it. Forgive me, if I’m just missing the post and everyone has already seen it. If you have, just skip down to Geer #Three. 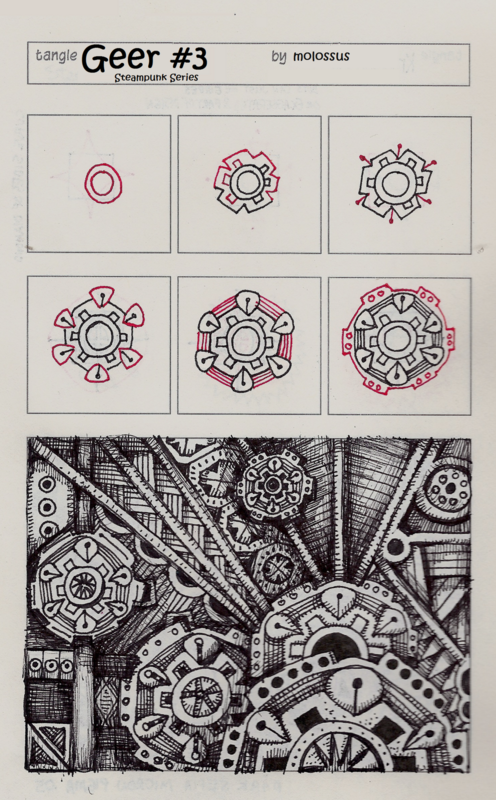 These are both patterns in a series based loosely (very loosely) on gears, such as you might see in the Steampunk genre. Please don’t try to figure out how these might work in real life. I’m sure they wouldn’t, lol! 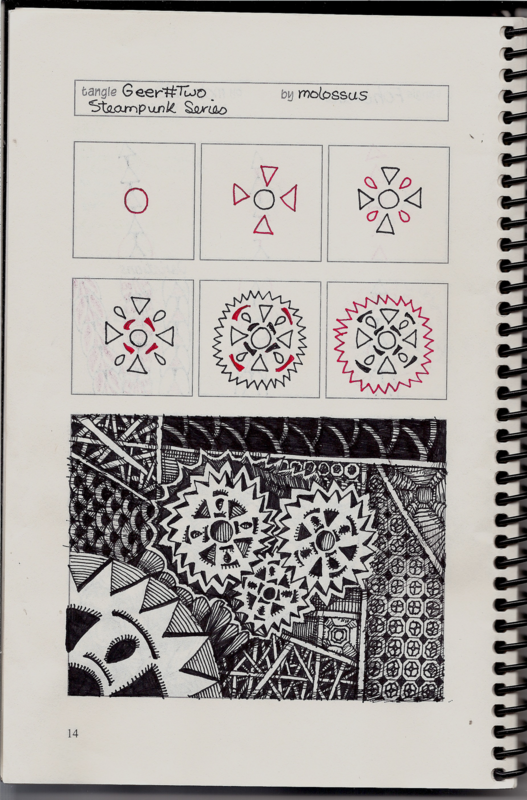 These patterns were drawn in Geneviève Crabe’s zentangle organizer Layout #1. If you are interested in ordering one, you can find them at her blog. Organizer Order Page. Journal 2012 Order Page. I LOVE your Steampunk Series! Keep them coming!